I’m doing my first Bolt Action tournament in may and I had to submit my army list last week. I’ve taken a bit of a risk by going with veteran Fallschirmjager army that has no artillery or armour. 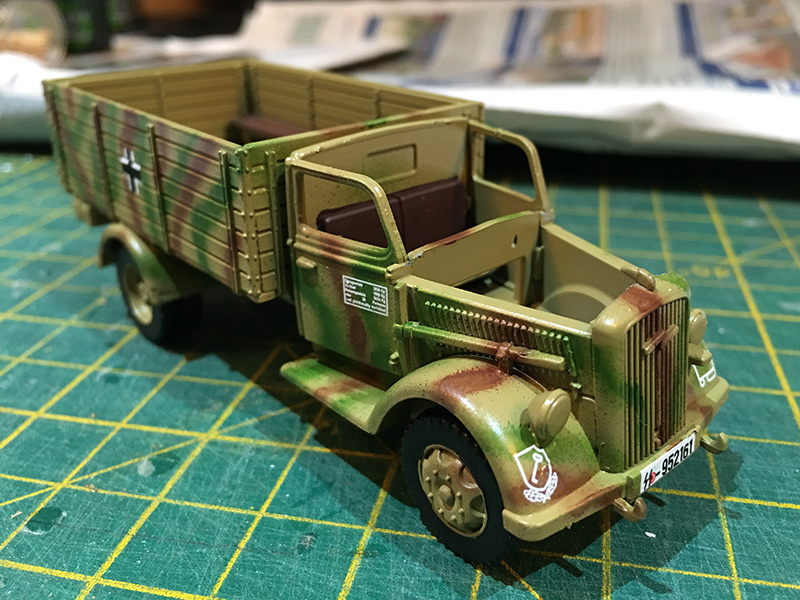 The only vehicle in my list is a German truck.I thought I had one on the workbench but when I checked I found I had a Russian and an American truck but no German. 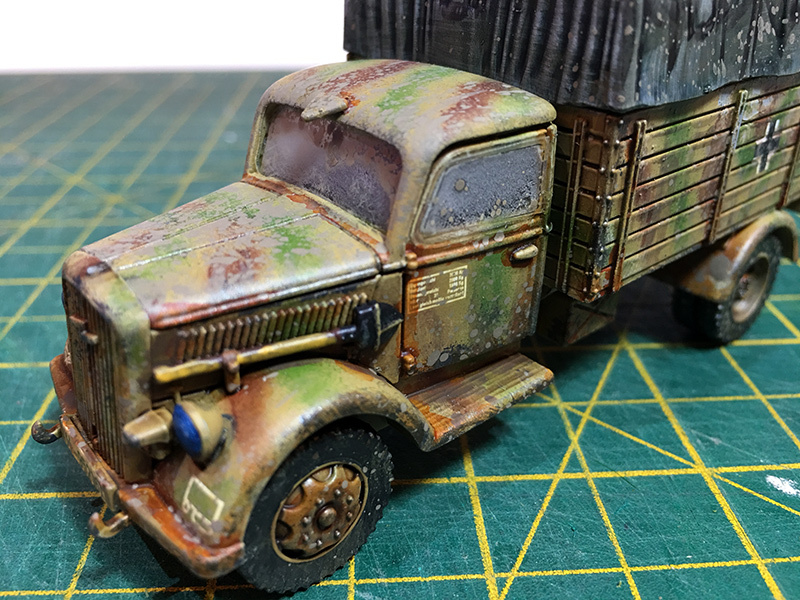 On Thursday I popped over to Lost Ark Games and grabbed one of two Warlord Games Opel Blitz/Maultier. I built it on Friday and gave it a base coat Friday night. 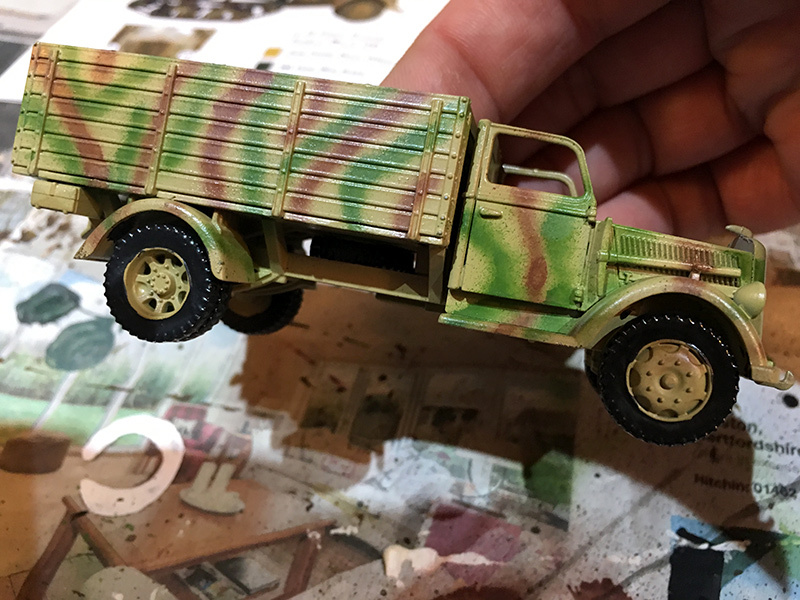 I then spent most of Saturday painting it up. Then today, Sunday, I used it in it’s first game. Unfortunately it didn’t do too well. I brought it on to the table in turn 2 as a reserve, drove it from my line behind the enemy troops in one 48inch move all ready for a Panzerschrek and flamethrower team to jump out on an unsuspecting Churchill tank, only to have the whole lot blown up by a British armoured car which came on as a reserve, right behind my truck, oh well! The kit itself is very good. 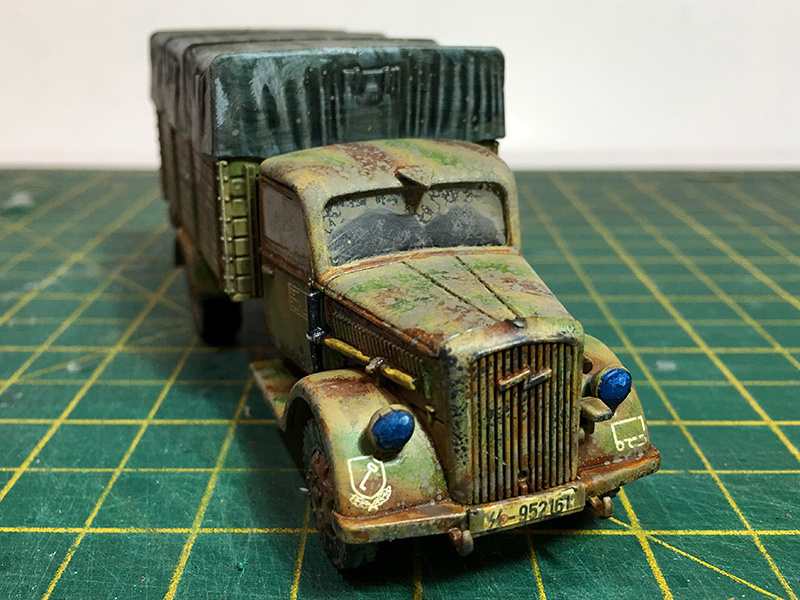 It comes with two rear combinations, you can either have it as a truck or a halftrack and then you can have two configurations of troop carrier, with open sides or with closed sides and a cover. 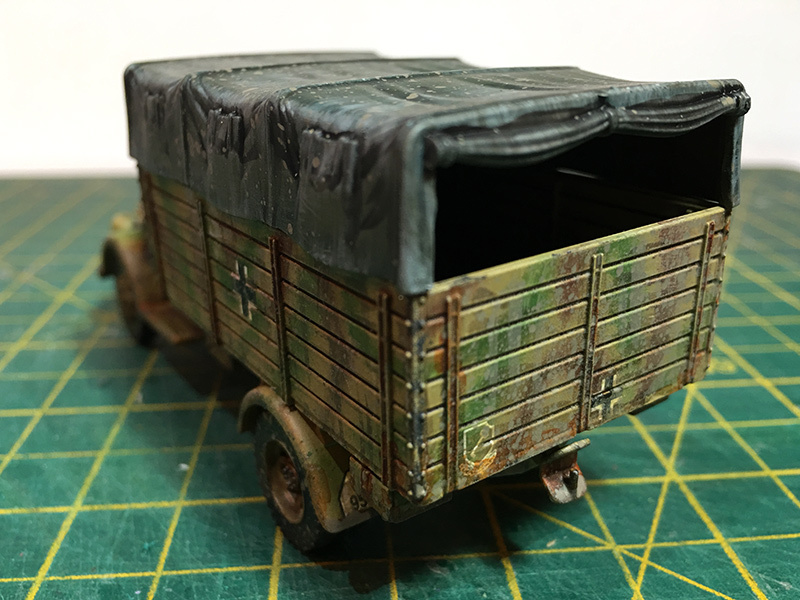 I chose to have to as a wheeled truck and with the closed sides so I cave the canopy on or off. 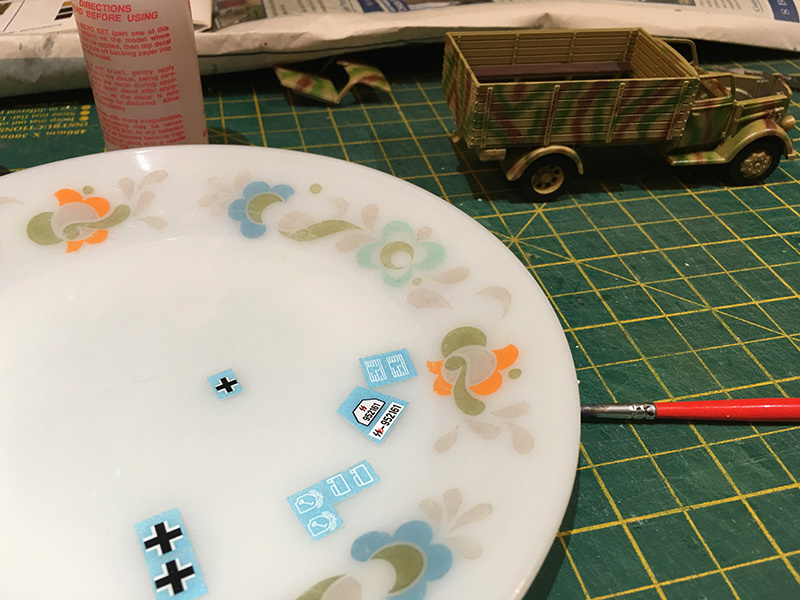 The kit is nice and simple with no complicated-fitting parts, everything went together very smoothly, possibly one of their easiest kits. 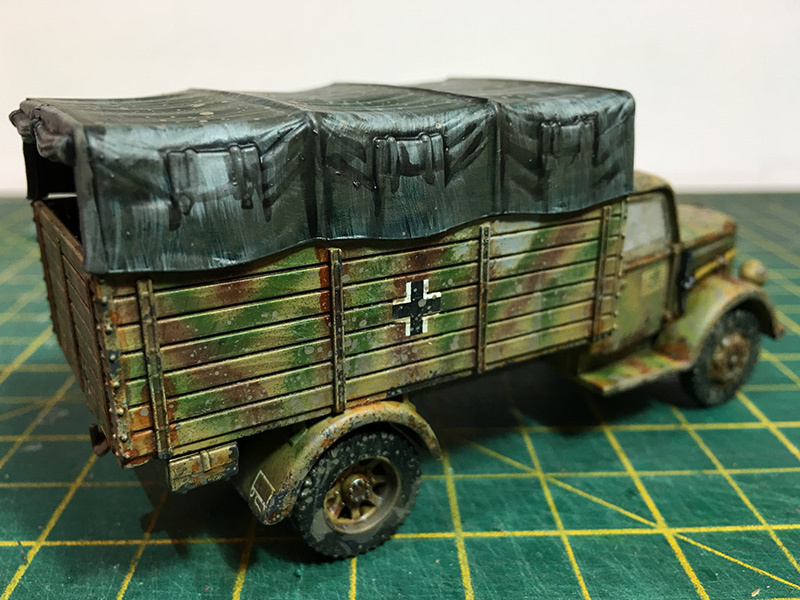 I painted it up in a later war sand colour with brown and green camo and added SS decals and the 1st SS Division “Liebstandarte” divisional markings.